Fimora Scrn helps you record and edit videos easily. Software designers have developed so many programs to assist users in easy recording process. No matter whether you are a Android tablet user or Android phone lover; for all users there are numerous screen recording applications and all of them provide appreciable results. If you are new to this field and want to collect some information about some of the best video recording softwares for Android Tablet and Android Phone; then the article below can be highly useful for you. 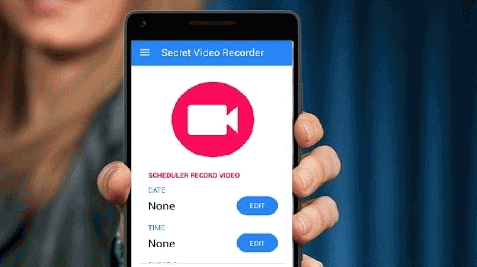 Below are 6 best free video recorders for android phone and tablet users to record their android screen. It is s high quality, stable and free screen recorder that provides highly smooth and breathtaking results for videos. This software is well known for its variety of features like: you need not to apply rooting for recording, it is a high quality video recorder and captures screen perfectly. Users can prefer this tool for recording live shows, video calls and games etc. Users can take benefit with its customized settings to generate high quality output. Offers screen as well as webcam recording simultaneously. Easy record options with video call record compatibility. Built in type high quality video editing tools. User reported its sudden breakdown during recording session. Cannot work with activities going on notification bar. It is not meant for heavy games. This screen recorder tool is mostly preferred by beginners due to its easy user interface and convenient settings for recording. Users can easily capture, record and edit using this advanced application and the best part is that this software is accessible for free with all its incredible features. It also allows users to remove watermarks from videos. It is rated to be one of the best recording tools for gamers. Mobizon is available for free. The sound quality offered by Mobizon is low. People have noticed it crashing many times during recording process. Too much lags are reported. This is a powerful background recording application that can work perfectly even when you are using your phone for many other applications. The recording process can be scheduled even while keeping device screen off and the best part is that it supports multiple languages. It serves users with easy control functions with its single start and stop button. 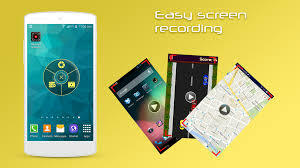 Users can enjoy recording even while keeping screen off or while using other applications on screen. You can edit videos only if they are in internal storage. Sometimes recording can stop anywhere randomly. This app is little annoying for left hand users due to its too advanced sensing capabilities. Here is your totally free mobile recording software tool that makes recording process much easier and fun oriented. It supports unlimited video length so if you have huge storage capacity in your device then you can create miracles. Videos can be easily stored to SD card too. This application is absolutely free. On touch recording feature makes it much easier to use. It cannot record the internal audio signals from device. Recording can stop randomly anywhere. It do not support editing feature so you cannot trim your long videos. It is an advanced premier application for users that can easily record screen activities as well as games. The best part is that users can pause their game recording at any point and resume it later as per need. It automatically identifies game on your device and starts recording even without missing a single second. Available for free with all active features. Allows anytime pause and resume facility. Users can set transparency for the record button. Games can freeze for few seconds when this recorder starts its operation. You cannot use it for recording inner sound of the device. Videos can be saved only to the external storage. If you have a Lollipop device then AZ is the best screen recorder for you. It never demands root access and never posses any time limit on your video recording process. With this software tool you can record Full HD as well as HD videos and easy pause as well as resume features are accessible. It does not create any watermark on your videos. This app follows ad free sequence. Easy to use with active start and stop button. Users can make customized settings for screen resolution. It do not support internal sound recording. If you demand advanced editing features then you have to make payment of $2.